When Ghulam Ali visited Hyderabad (India). India, being one of the ancient most cradles of culture and civilization and hence one of the primordial human fountain of art, has witnessed its share of tumult and associated genesis. Generations after generations, genesis after genesis; the springs of changes meandered down into it and the Indian culture grew on to become the ocean of cultural assimilation. Then there was the mighty, destroying river-the river that had uprooted the strongest trees of tradition and engulfed the deepest gorges of customs in its path. In the middle ages this river of Arabic and Turkish imperialists cascaded violently on Indian diaspora. But when it met the all-assimilating ocean of Indian cultural tolerance, an extremely fertile delta of Hindustani culture was formed. The indigenous dialect of Khadi Boli with its Sanskritic legacy and the incoming Arabic and Persian, concocted to give birth to Urdu and Hindi which were two crown flowers in that fertile delta. This Hindi-Urdu language brought with itself a new wave of customs, art and style which was known to be Hindustani tehzeeb. Ghazals are the place where this Tehzeeb meets the sound of pain and glows alight. Like all other stories of genesis, Hindustani tehzeeb and Ghazals also have had the share of misfortune. 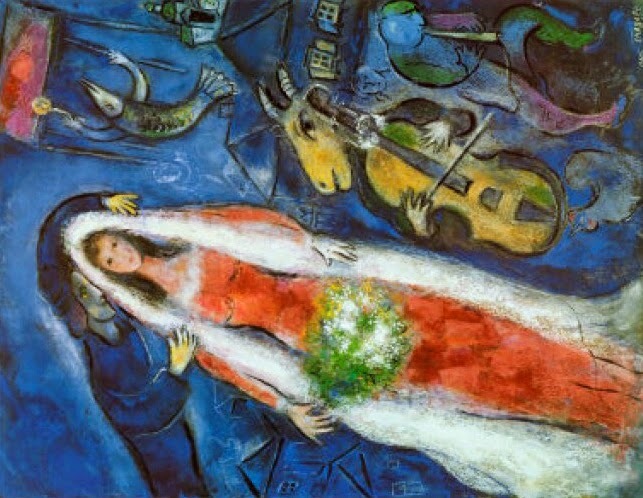 Fueled by avarice of few and stupidity of many; the region has seen the divorce of the creative forces and the biggest sufferer has been humanity and its malnourished child, Art. A few days ago on a certain border again the human weakness was exploited by the devil inside all of us and the humanity perished. This keeps happening, the bloodshed; but hope has managed to keep alive in the face of the wicked storm. But this time it was a little more bleak than before. I had my doubts like everyone else about the survival of the candle in the wind. And amidst that came the Paigham-e-Mohabbat from Ghulam Ali Sahab. When I saw the hoarding about Paigham-e-Mohabbat in Hyderabad, I knew I had to go. And I went. And till now that has been the most happy three hours of my new year. 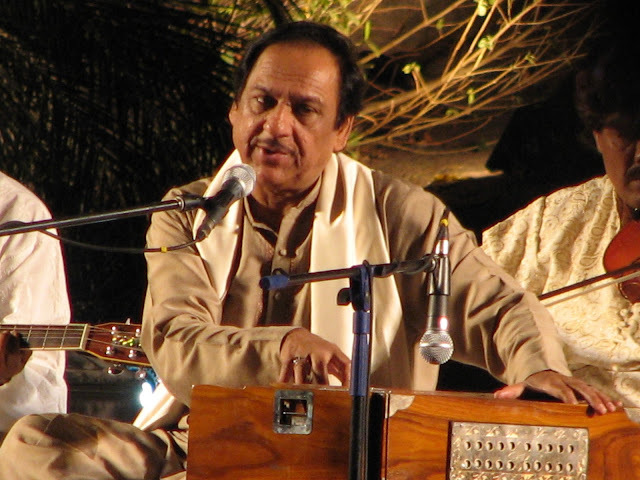 I will not describe how Ghulam Ali sang or what he said, but I will mention that his pleasure was obvious at being able to perform in the land of his teacher Bade Ghulam Ali Khan Sahab and in front of a crowd which understands and lives the Hindustani tehzeeb which he has served and served well for 55 years now. The state government of Andhra Pradesh awarded him with the Bade Ghulam Ali Khan Sahab state award. Here are the songs and the links of the songs that he performed (No piracy intended) in that order. I am an optimist and I believe in a better tomorrow, and a full house of fully enthralled crowd in this concert was a proof that I am not alone. If the sea is unforgiving and the paper boat of hope (the kagaz ki kashti) has to keep moving, then there is no better oar than the strong but comforting sculls of music. Jimi Hendrix felt that 'Music doesn't lie. If there is something to be changed in this world, then it can only happen through music.' And I could not agree more. May you have a long life, Ghulam Ali Khan Sahab! He is my favourite! There one more ghazal by him which absolutely fantastic, " kal choudvi ki raat thi, shab bhar raha charcha tera'. Ibn-e-Insha is a master. his poems are so laid back that one feels rested. Happy yet detached. Kal choudahavi ki raat thi is another gem.